Nortel Support Programs & CCS Migrate your Nortel Promotions Available! If you are a current Nortel customers (Norstar, ICS, CISC, MICS, BCM, Option, Meridian, Communication Server) and need full support and maintenance services, contact CCS to review our Nortel support plans available. If you are looking to add to, upgrade, or migrate your Nortel phone system, the CCS sales and design team can help. CCS can extend some aggressive technology lease offerings if you are looking to trade in or migrate away from your current Nortel solution. In September 2009, Avaya acquired Nortel enterprise and customers can be safe to know that Converged Communication Systems can provide both Nortel and Avaya services for your piece of mind. Avaya business telephone solutions are hotter than ever. Leading the industry in voice communication, IP telephony, call center, contact center, and unified communications, Avaya communications has solutions for all sized businesses. Avaya Partner, Merlin, IP Office, Definity and Communication Manager solutions give customers with simple and complex needs the proper foundation for your voice infrastructure on a pay as your grow philosophy. For example, the IP Office which is the best selling small-medium sized phone system grows up to 384 endpoints per processor, allow multiple site point-point T1 or IP networking, as well as analog, digital or IP (H.323 or SIP) endpoints. Customers who purchase IP Office with digital phones can turn on IP at anytime when they are ready to deploy a second site, home worker, or remote office. Avaya's Enterprise media servers and media gateways including newer components S8510, S8730, S8800, G430, and G450 are extremely robust. Avaya Aura SIP Session Managers and SES provides sites with multiple PBX environments to communicate effectively. The leader in voicemail solutions, Avaya Octel and Intuity has been merged into Avaya Modular Messaging which allows Message Network servers to connect traditional and newer voicemail solutions together as well as non-Avaya logoed solutions sharing important information like distribution lists, dial by name and more. Modular Messaging MAS (application server) allows tie ins to Exchange, Lotus Domino, and more as well as scheduling or listening to your Outlook calendar from a mobile phone. With the onset of SIP technologies, companies are leveraging presence servers (Microsoft OCS and Avaya Presence Server) to tie in instant messaging, cellular phones and telephones to see all in one presence. If you have a multiple site organization leverage Avaya ESS, LSP, and SLS functionality to share licensing across your WAN and failover options for 99.999% reliability. Contact one of our sales and design engineers for more information at 877-962-8292. More and more users are becoming more mobile due to easier to use cellular interfaces, applications, and an improved cellular network. Converged Communication Systems in partnership with Avaya, Nortel, and Cisco as well as CCS' other partnerships have a multitude of robust solutions to help leverage your mobile workforce. Customers can purchase shared voice and data T1 services (dynamic voip t1) that shares mobile and T1 usage bundles. Add a cellular voice gateway to your PBX or IP-PBX which allows users to dial out to their cellular network from their phone system which provides cell-cell calls and failover options if POTS or T1 land lines were to be cut. Mobile twinning or EC500 are Avaya mobility features that allow cell and deskphone to ring simultaneously and provide cell phone with caller-id of the originating call. Users can walk back to their desk and grab the cell call with one touch button. If you want to track mobile user calls, leverage the PBX dialtone feature which allows mobile users to dial through the PBX. The caller will get the caller-id of the deskphone and now you can record, service observe, and report on mobile phones. Setup voicemail to email notification or proactive outcalling and have your voicemail call you when a message arrives. Forgot to turn on your call forwarding from your deskphone, simply dial into your IP Office mailbox or leverage IP500 free PhoneManager Lite application. In today's times, concerns about pandemics as well as redundancy requirements have forced telephony manufacturers to provide more and more remote working option s. Avaya's telecommuter options lead the industry by providing inexpensive and easy to add home working and remote office options. VPN IP deskphones are a perfect option for remote, home or small offices that have no VPN router in place. The VPN is built in the phone and tunnels back to your main site router. If your business requires your employees to go to work from client sites from time to time, give them a VPN phone and have them plug it into any internet connection. For call center agents, leverage Avaya telecommuter IP softphone options to all the agent to use full functionality anywhere through their PC. Avaya solutions allow full IP through a single internet connection or dual connect mode guaranteeing good call quality because voice calls end up on users cells or home phones. Teleconferencing and video conferencing is very popular today. Companies spend hundreds to thousands of dollars a month to outsource company wide or client conference calls. 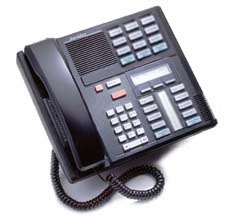 Avaya IP Office phone system provides a free up to 64 party conference bridge. If you are currently under 384 endpoints you can migrate to the Avaya IP Office and eliminate conference bridge charges. Or if you have more than 384 endpoints at your facility you can put an IP500 behind your existing PBX or IP-PBX. The IP Office built in conference bridge is a very cost effective solution. Avaya also provides Meet Me and Meeting Exchange Servers for more robust webinar servers. Small to medium sized businesses are leveraging dynamic T1 services to replace POTS lines or voice only ISDN-PRI T1 lines to get more bang for their buck. Combine your voice and data onto a single or multiple T1 connections. Receive free calling options as well as other services like web hosting, secure file backup and share, email hosting, mobile phone, DID or private numbers, free 800# and other options. For example, if you have 6 phone lines and a business DSL connection you can get one T1 to replace. Contact us about nationwide options. CCS works with companies like AT&T, Verizon, Cbeyond, XO, Paetec, Cimco, and more. SIP is becoming more prevalent. SIP allows companies to buy data connections and run voice over this connection. The SIP handoff eliminates the need for T1 ports on the phone system. SIP allows channels to be added easily with a simple license cost as well as find that SIP allows for more portability options (own phone numbers in other states) and redundancy options. SIP endpoints are also becoming more popular, however today limit to a handful of day to day features. SIP endpoints will reduce cost, however if you need more functionality additional applications on the desktop are a must to get full functionality.